Ain’t no one got that kind of cash! Everyone knows that in most if not all devices, batteries are considered a wear item, an item that’s designed to be replaced at certain intervals of a machine’s lifetime. (Ok, unless you’re Samsung… or Apple… or any one of a bunch of stupid laptop vendors) Enterprise level servers are no exception. What is outrageous though is these consumables are usually stupidly expensive and can be repaired for much less than the replacement part. 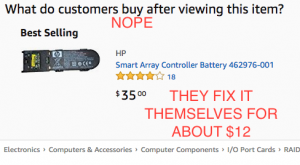 In this case (and this post), I saved myself about $63 by building my own replacement battery pack for my HP SmartArray P400 raid card. Buying networking equipment off of Ebay can be one of the most rewarding and frustrating challenges you may ever face. Of course, being able to identify and fix issues with newly purchased hardware may mean the difference between having purchased a $500 firewall for $11 and some parts versus buying another piece of crap for $11 that will live out its life in the back of the parts closet. In this article, I’ll cover how to replace the power supply to a Cisco PIX 506E firewall with a standard computer power supply. After publishing the last post on networking and the security series, I felt it was necessary to go ahead and publish a piece on building a custom router. I have been a fan of pfSense for the past four years and swear by it. It has the ease of use of a commercial GUI-driven router and unrivaled flexibility limited only by the hardware it is installed on. In this howto article, we will cover installing pfSense on an embedded platform and initial configuration for getting your router up and running. 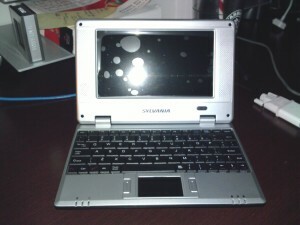 A few months ago, I posted a hardware teardown of the CVS Sylvania Netbook pictured above. After working with it and performing a lot of research on it, I promised a follow up article, and here it is. To sum it all up, with a bit of modification to the software, a spare SD card and a lot of patience, you can actually turn this thing into a somewhat useful Linux device. There’s also some improvements and suggestions to be had for improving the Windows CE side of things should you decide to continue using it in its default state. Dead Dockstar Resurrected with JTAG! As long as there has been electronics, there has been the problem of how to keep them cool. Unfortunately, the problem gets more complex the smaller that computers get and what works for one PC might not work for others. This is clearly the obstacle to overcome when trying to cool down a settop box. Read more to find out how I was able to pull it off very well for a little over $10 in parts and still maintain all my hair. Ok, so not long after I published the article on the hardware teardown of the Seagate Dockstar, I couldn’t help myself so I started working on things to do with this device. I did a lot of research in regards to the capabilities of the Dockstar, including being able to push a customized Linux OS on the device. Once I saw the article at Hackaday that covers exactly how to replace the OS, I knew I had to do it for myself. There are two ways to perform this upgrade however in order to capture syslog output and to be able to get to the bootloader, a serial port is required. Just about all of the sites will describe the pins needed to make the connection, however none of them detail how to do it very clearly and none of them address the issue of aesthetics. 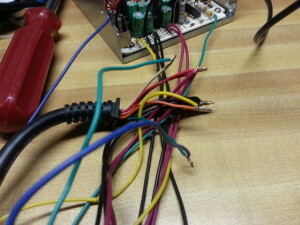 Read on for my method of adding a serial port to the Dockstar without affecting the look of the device.